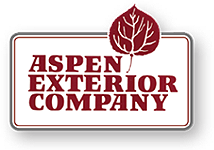 Aspen Exterior is proud to offer high-quality CertainTeed Shingles to our customers. Established in 1904 and headquartered in Malvern, Pennsylvania, CertainTeed Shingles offer the best in terms of quality, durability, style, and color. All CertainTeed products are tested to ensure quality and compliance with industry standards for fire, wind, tear, and impact resistance. Our selection of CertainTeed shingles are broken down into two main types: Designer Shingles, and Luxury Shingles. Landmark — A dual-layered design that emulates the dimensions of true wood shake, this shingle offer the heaviest weight and widest array of color options in their class. Landmark Pro — Provides the reliable quality of Landmark, along with greater durability and eye-catching Max Def color options. Landmark Premium — A luxury asphalt shingle that provides the beauty of wood shake roofing with outstanding protection. Landmark Impact Resistant — Achieves the highest impact resistant rating from UL (Class 4), providing greater protection against water and hail damage. Landmark Solaris — A wood shake-inspired, solar-reflective asphalt shingle that reflects solar energy and radiant heat, keeping your home cool. Highland Slate — Has the look, texture, and tone of natural slate with dark shadow lines to accentuate character and curb appeal. Independence — A fiber glass base shingle with deep shadow lines and randomly applied tabs to create a distinct dimensional look. Northgate — Offers superior granule adhesion and greater flexibility, which helps to resist cracking even in extreme cold-weather. Patriot — The industry’s first ‘architectural-style’ strip, this single-layered asphalt shingle uses CertainTeed’s color technology to mimic the depth of multi-layered shingles. CertainTeed XT25 — Built on a tough fiberglass base, these shingles provides exceptional resistance to blow-off and tearing. Symphony — A composite shingle that mimics the look and feel of natural slate. Grand Manor — Two full-size, fiber glass base shingles with randomly applied tabs that provide the wonderful depth and dimension of a natural slate roof. Belmont — Layered construction and blended coloration emulates a classic slate roof look. Carriage House — Offers a unique, hand-crafted look with equal measures of craftsmanship and architectural creativity. Presidential Shake TL — A luxury shingle with the look of cedar shakes and the performance of one of the finest composition roofing solutions in the industry. Presidential Shake — Offers the charm of hand-split wood shakes with great strength and durability.